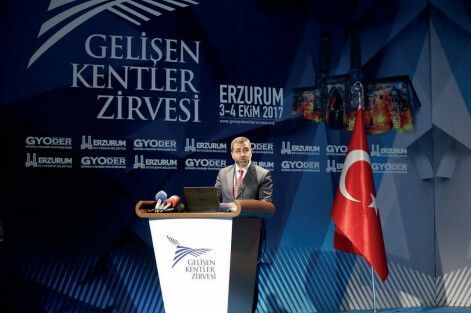 As GYODER, we realized the Developing Cities Summit by adopting the saying as a principle that Turkey does not consist of only the big cities and that our country as a whole needs growth and development. To this end, we had happiness and pride in organizing the Developing Cities Summit in Erzurum and Antalya after Bursa, Konya, Gaziantep, İzmir, Samsun, Kayseri and Balıkesir. For the sake of our sector, the concept of 'developing cities' is of great importance. We believe that, apart from metropolitans like İstanbul and Ankara, our developing cities are very important in terms of the development and transformation of our country. At the same time, we think that these cities offer great opportunities in terms of investment. In this context, we want to draw attention to our cities in Anatolia, bring the investment opportunities of these cities to sector representatives, make these cities popular in national and international areas and be a pioneer for making investments in these cities which have a growth potential.